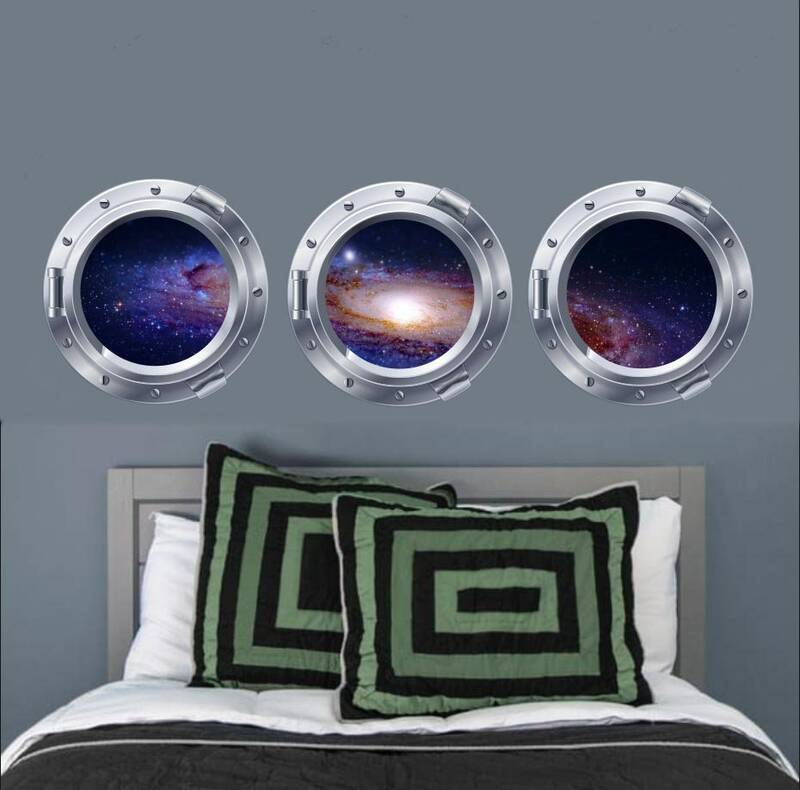 This porthole galaxy wall decal comes in multiple sizes and would look great in a space themed bedroom, bathroom or game room. 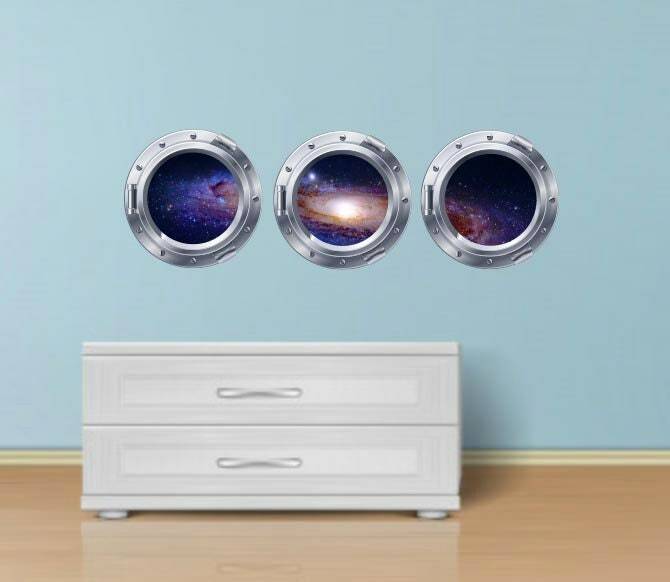 In this set of decals, you will receive 3 decals in the size that you choose. For example if you choose 24" decals, you will get 3, 24" decals. 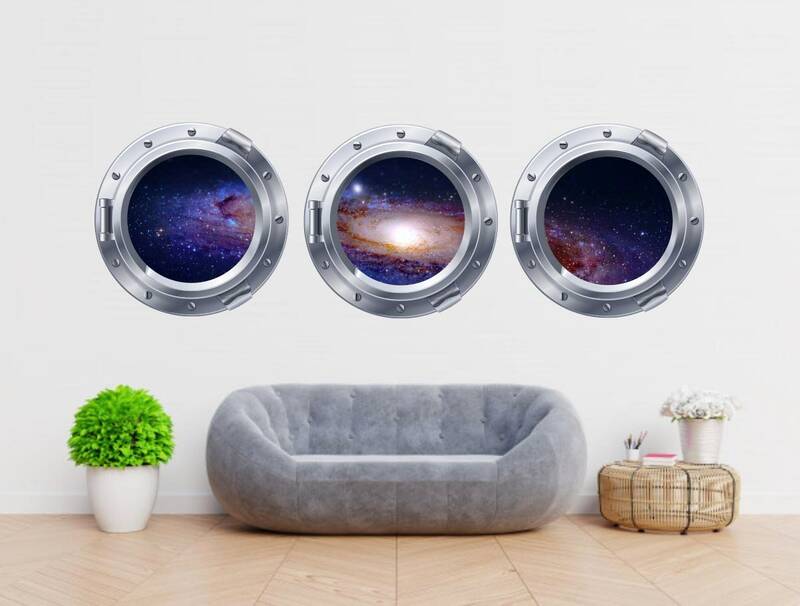 Each decal has a different view of the Milky Way. Easy, peel and stick vinyl make application a breeze! 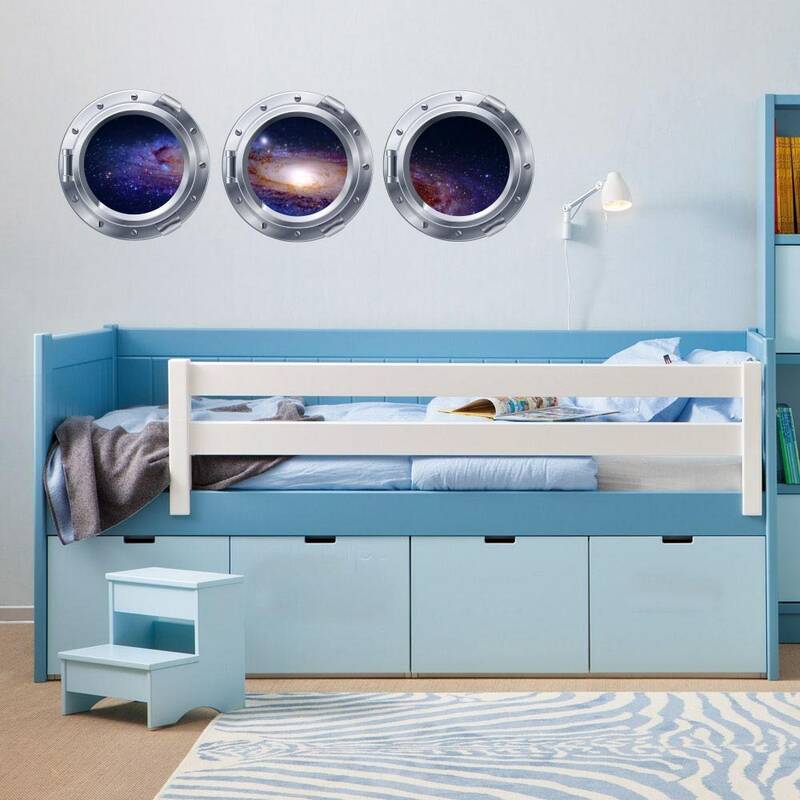 This design was created in Adobe Photoshop and Illustrator and prints at high quality.